Traffic was thick and I was looking for anything to take my mind off a rough day at the office. Busy from what seemed to be endless client meetings, I decided to take a drive to clear my head, and in search of fast food. As I tried to wiggle my way through traffic on the freeway, something that seemed to blend into the landscape most of the time suddenly popped out at me. My eyes couldn’t help but look up at a giant picture of Taylor Swift staring down at me as she held a can of Diet Coke that was the size of a minivan. It was a billboard. 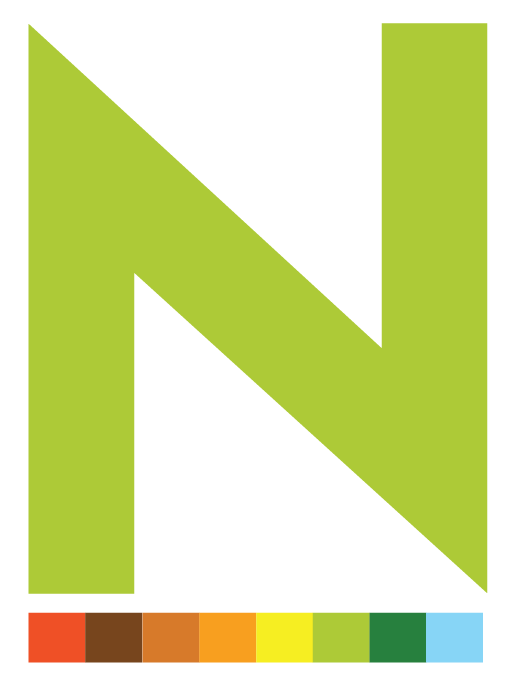 As a digital marketer I know it may sound strange, but billboards can tell us so much about how companies are targeting the mass market today. The reason I am fascinated with billboards is that they hold our attention and, for those few seconds, they tell us a story before we shift our eyes back to the road and what lies ahead of us. Billboards help us take a pulse of what is happening in the marketing and advertising world while we drive around the city. There are two billboards in particular currently displayed in Phoenix that immediately stood out to me that day. No, it wasn’t the Taylor Swift billboard that I mentioned earlier. They were billboards targeting the U.S. Hispanic market in very different ways as I detail below. The first billboard is an ad for Chevy trucks and is quite obviously targeting central Phoenix Hispanics as it is written entirely in Spanish. What’s not as obvious is the cultural relevancy hidden in the ad. The ad uses the bond of family tradition and heritage, a value that is very common among Hispanics, to build a sense of community around Chevy trucks. The imagery and text in the ad also strives to create a sense of family tradition and nostalgia. The truck on the left is a 1951-53 pick-up and might be very similar to the one your grandfather used to drive. The truck on the right however, is the new 2014 Silverado; the one Chevy wants you to drive. Finally, the ad has a call to action inviting the Hispanic consumer to visit the nearest Chevy dealer in the Phoenix valley. 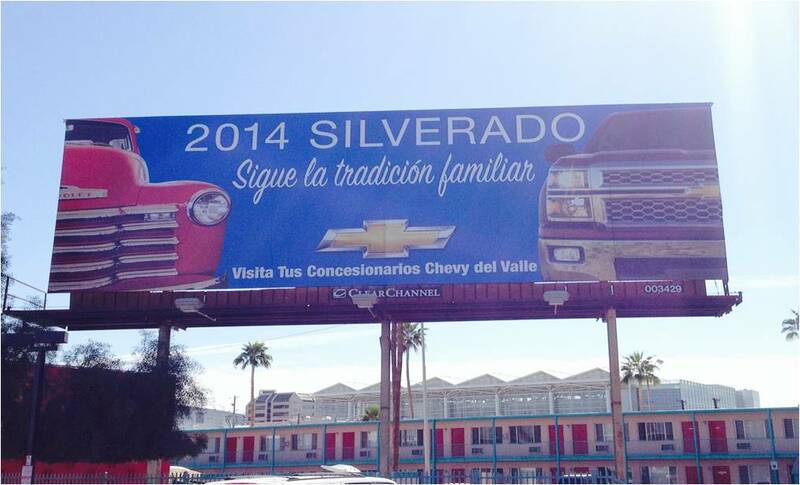 To complement this ad, Chevy does have a Spanish language website. Unlike the first billboard, the second billboard from the US Marines is entirely in English, yet it still targets the Hispanic market. The fact that the ad targets Hispanics using English is important because it is reaching a specific subset of Hispanics. As we mention in this classic article about language of choice by Hispanics on Facebook, English reaches a large selection of US Hispanics. Typically those Hispanics who were raised in the U.S. are those that are comfortable with the language, and often prefer speaking and reading content in English. 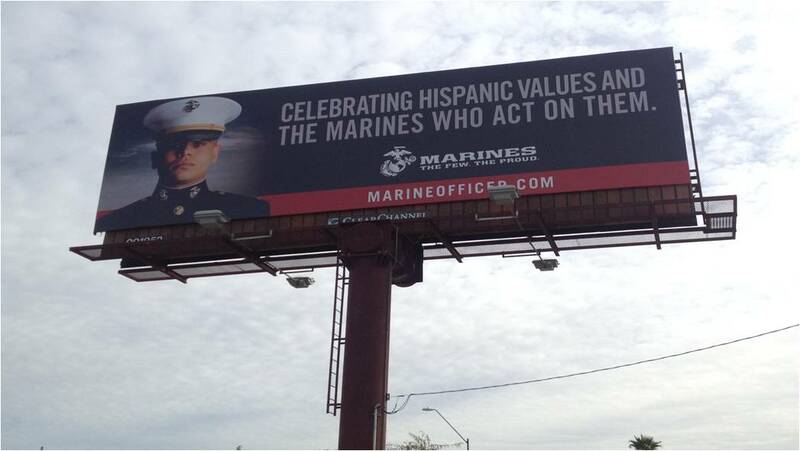 US Marines billboard in the uptown Phoenix area.